It seems that the news covers more frequent abuses of power, corruption and conflicts of interest within law enforcement and in posts held by elected or appointed officials. One state is trying to address this head on. In California, 49 of the 58 counties have a coroner who is also an elected sheriff. Why is this a conflict of interest? Well, the coroner ultimately gets to decide the deceased’s cause of death. So, even if a forensic scientist claims that the person’s death resulted from a homicide, the sheriff-coroner can rule it as an accident or a suicide. This is an inherent conflict of interest, according to critics of the current status quo in California. In San Joaquin County, its chief forensic pathologist quit and his colleague, alleging that the Sheriff-Coroner had pressured him to change autopsy findings when his own police officers were involved. In 2008, Daniel Lee Humphreys was being chased by California Highway patrol after speeding. He ended up crashing his motorcycle, and then he was shot with a Taser 31 times by an officer who caught up with him. Ultimately, he collapsed and then later died. His ex-wife has accused the sheriff’s office of withholding evidence concerning their use of the Taser, and ultimately, Mr. Humphrey’s death was ruled an accident. This is not an isolated incident. Recently, an audit of the coroner’s office in San Joaquin County revealed at least 4 deaths in 2016 which involved law enforcement officers. The sheriff overruled the findings of all the county pathologists. There is no way to guarantee that a sheriff can fairly investigate officer-involved deaths if they serve both as a sheriff and the coroner. The two doctors who quit allege that the sheriff not only pressured them to change their conclusions but also that he routinely interfered in various investigations of people who had died during their encounters with law enforcement officers. The sheriff is accused of preventing the doctors from visiting crime scenes and failed to notify them of cases they were obliged to investigate. He also is accused of canceling forensic tests without their knowledge or consent. The office has also been the subject of criticism that their deputy coroners are sent to crime scenes without sufficient training or knowledge, which could have resulted in mishandled investigations. It was not only doctors who were dissatisfied with the sheriff/coroner issue in San Joaquin County. Deputy District Attorneys also brought the issue of meddling to the Sheriff, with one D.A. writing to the Sheriff in 2013 that a failure to bring the forensic pathologist on the crime scene can affect the prosecution of cases – referring to the stabbing murder of a woman in her own home, where her children were in and out of the house all day. The sheriff’s office failed to pass on the message that he was needed at the scene. The next day, due to the decomposition and subsequent refrigeration of the victim’s body, the doctor was unable to determine a good time of death – which significantly impeded the investigation and made it more difficult to ascertain who was present at the time of her murder. The outcry has prompted the legislature to introduce a bill that would change the current structure, requiring some counties to replace the coroner with a medical examiner. This is the arrangement in San Diego and San Francisco. There, a doctor, certified in forensic pathology, independently examines the deaths – outside the reach of law enforcement. Officials in San Joaquin County took note, and unanimously voted to strip the sheriff of his duties as coroner. A medical examiner will be installed within the year. The news lately seems full of injustices, particularly against people of color (POC). First, another police shooting out of San Francisco has rocked the news waves. Stephon Clark, aged 22, was shot primarily in his back in the backyard of his grandmother. 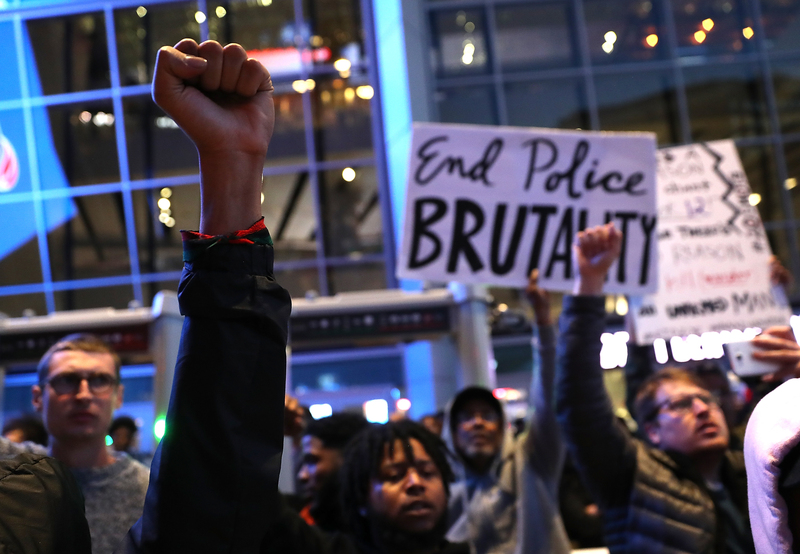 Accusations of a police cover-up and protests in the street have heightened tensions. On the other coast, the police of Asheville, North Carolina released body camera footage of a police officer assaulting a man after the man had been allegedly jaywalking. The video shows the police officer choking the man and hitting him in the head multiple times. Police violence has become a pretty regular story – so much so that you can feel immune to it. But out of Texas, one story makes it pretty clear that the justice system has a problem with race and POC, after Crystal Mason, a convicted felon, received a jail sentence for voting in the 2016 election. On November 8, 2016, she went to her local precinct. She was told her name was not on the voter roll, so the staff gave her a provisional ballot. In February 2017, she was arrested while she was meeting with her probation officer. In Texas, it is legal to vote in a general election – even with a provisional ballot – until any jail sentences have been fully served. This includes parole, probation or suspension. She had no idea she was not allowed to vote. Her lawyer argued her vote was cast in good faith, but she was sentenced to five years in jail for voting illegally. As a note, Ms. Mason’s vote was never even actually counted. This is an extreme sentence in light of the other individuals who have been convicted of voter fraud in their states. In Wisconsin, 52-year old Robert Monroe (a white man) was convicted of 6 counts of illegal voting, and sentenced to one year in jail. Chad Gigowski, another white male, was convicted of voting twice on the same day in two different locations back in 2012. He served six months in jail. In Texas, of 38 prosecutions for illegal voting between 2005 and 2017, only one has ever resulted in a sentence exceeding 3 years. This involved a state official who voluntarily and knowingly registered non-citizens to vote. In 2015, everything changed with the new attorney general, Ken Paxton. An extreme conservative, Mr. Paxton has made examples out of individuals accused of voter fraud – who also happen to be more frequently minority women. Maria Ortega was a permanent resident and mother of 4 who illegally voted in the 2012 and 2014 elections. She had been brought to the country as an infant, but acquired only a sixth-grade education. She believed that because she owned property, could serve in the military, get a job and pay taxes, that it also entitled her to vote. Unfortunately, a jury convicted her of two charges, and she was sentenced to eight years in prison. And as if it were not obvious enough that some serious disparities are occurring in our justice system, Ethan Crouch, the ‘affluenza teen,’ was tried in the same Texas county. Crouch was drunk and high when he crashed his truck into another vehicle on the side of the road. He killed 4 people and injured nine others. At trial, it was asserted that he suffered from ‘affluenza’ – or being so wealthy and spoiled that he could no longer tell the difference between right and wrong. He avoided jail time, and on probation was filmed drinking alcohol, a violation of his terms. After that, he and his mother ran off to Mexico, where he was caught and sent back to the U.S. For his trouble, he was given 720 days in jail. For those of you keeping count, after killing 4 people, wounding 9 others, violating his probation, and avoiding arrest, Mr. Crouch serves a whopping 2 years in jail. Ms. Mason, a convicted felon for a non-violent crime (it was tax tampering), is sentenced to 5 years for casting a vote that did not even count… for a candidate who didn’t even win. But sure. Justice is blind, right?